Remember the 90s? I do. For me, the 90s were a haze of yo-yo battles, Vicar of Dibley marathons and those Spice Girls collectable photos. But when I wasn’t being an undeniably awesome kid, I was documenting my every day life. Whether any of the below is true or not, I can’t remember, except for the Great Valentine’s Day Haul of 2000. That definitely happened. Please note that when I was a child I had an enormous head and tiny body. To some extent this is still the case. The author on his 23rd birthday. My diary ran sporadically from the end of 1999 to June 2000, and I believe may be a document of important historical significance, given its reference to Harry Potter, and approximately 200 blatant lies about girls. 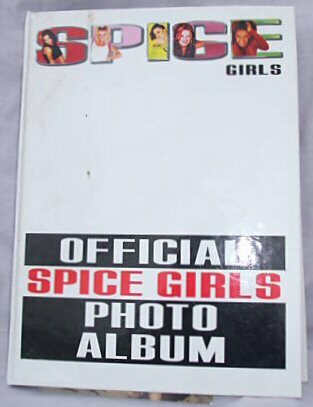 I found it recently in a box of old yo-yos and Spice Girl memorabilia, and have written it down for you to now read. Sat at home doing nothing. Took camera to school and took photos of Lucy. She got annoyed so I stopped. Roller disco, 3-4pm. Met a girl called Rachel. Really gorgous! 3 cards, 3 toffees, soap, frosties, bear and hugs, also polo gummies and a big box of frute pastilles. Gas explosion outside Susie’s house! My darling love bucket! New word: procrastinate. Was asked out by the most wonderful girl, but decided to stay loyal to Susie – she is my darling! New word: Alkall. Girl called: Alicia. No one hurt in gas explosion. I love Susie! New word: Vegan. Thought about life but had to stop because I got depressed. I will always love Susie! New word: lauryl. Went to Burger King, I had large chips. I still love Susie. New word: I’ve given up, I know most words. I sent a letter to Richard Curtis, who writes The Vicar of Dibley – I hope he replies! I fancy Alice. Told Jack about Susie. He looked right jealous! But who wouldn’t be? Soon I will borrow a Vicar of Dibley DVD from the library. I have finished a 20 page file with stuff about The Vicar of Dibley off the internet. Susie’s ditched me, so now I’m going for Lucy. She drew loads of pictures in my art book. I love Lucy! Jamie once fancies Hannah (hard not to) but she ignored him. He don’t love her any longer but she’s always flirting with us. Jamie and me don’t know why she didn’t flirt when he fancied her. I sort of like Hannah. The Pagans looked so silly leaping around Stonehenge! But I must respect their tradition. Harry Potter book out, YAY! And that’s it. Not quite Pepys, but valuable nonetheless. Did I ever get back together with Susie? Did Hannah ever flirt with Jamie while he fancied her? I guess we’ll never know.